Jen was stuck. She had lost her job, and with two young children at home, she was struggling to get out of the cycle of poverty. Jen joined Circles in February of 2015 in hopes of improving her financial situation. It was also during this time that Circle Leaders and staff were exploring the possibility of offering full programming – Circles Youth – for the children of program participants. Research on taking a two-generational approach to poverty reduction finds that programs that serve both parents and children are more likely to achieve permanent results, and that children in those families are more likely to attain financial stability in adulthood. Circles Youth was developed using the same cognitive, behavioral, emotional, and social approach used for adults. 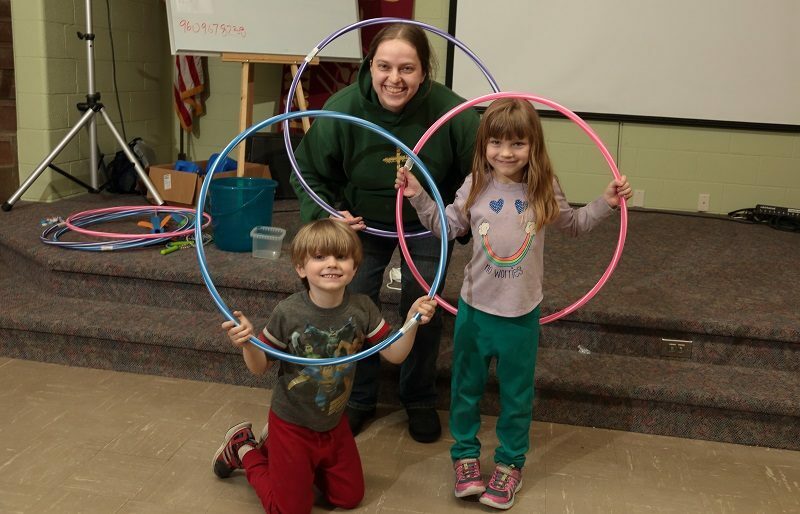 Jen’s children, Rebekah and Jacob, were some of the first to participate in the youth program, but at ages 4 and 2, the kids required early childhood expertise to make the Circles programming a true two-generational approach. Enter Ready for School who agreed to partner with Good Sam to design pre-k curriculum and implement programming for children ages 0-4. Ambassadors from Ready for School attended weekly meetings to work directly with preschool aged children and their parents. Jen and other Circle Leaders with young children were provided with take home activities focused on motor skills and early learning strategies. Parents were also given tips about heathy eating, sleeping habits, tools for calming children, and children’s books to help build a home library. An Ambassador working with Rebekah and Jacob suspected developmental delays and requested that Donna Lowry, MD, President of Ready for School, observe the children. Donna observed possible delays and connected the children with an early childhood specialist. The specialist confirmed the delays and, with Ready for School, discussed with Jen the options and resources available. Jen was then connected to Maplewood Early Childhood Center in Holland. Jen notes that since participating in Circles Youth and receiving guidance from Ready for School, Rebekah and Jacob are calmer and have a better understanding of what money means in their household. Rebekah, now 6, makes wiser and more intentional choices. Jacob, 5, is gentler with his hands and is easier to find childcare for because of his improved behavior. Now that the kids are in school, childcare is easier to access, and home life is more manageable, Jen was able to get a part-time job. Their participation in Circles which focuses on reaching both the parents and children of families in need provided them with the tools and encouragement necessary to create long term stability for the entire family. Jen, Rebekah, and Jacob graduated from Circles in December 2016. Thanks to the employability and retention skills learned during her time in Circles, Jen’s part-time position turned into a full-time opportunity. She now has the confidence to seek out resources available for her family, and is not afraid to ask for help when she needs it. Jen and her children continue to be involved in Circles as alumni, giving hope to new Circle Leaders and children entering into the program.